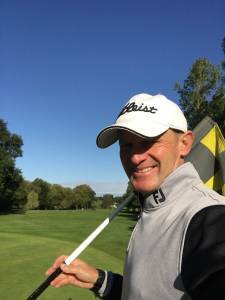 Before his teaching career took off, Darren enjoyed playing full time tournament golf on the European challenge Tour and the Florida Winter Tour for a number of years. This valuable experience playing at a very high level early in his career gives him the knowledge to take your game to the next level whatever that is. Darren’s reputation in the region is growing and growing, he is seen as the “Go to” golf coach for anyone who is serious about their game and wanting to improve. His client base includes Junior Elite players, County & International Amateurs and has PGA professional students who trust him with their game. If you’re looking to improve your game then you are one call away from a solution. I offer individual coaching using the V1 swing analysis software, on course lessons, group coaching & specialised Group Masterclasses on different skills. If you require packages then I have offers for longer term development and savings for multiple individual lessons. In my lessons I can help you work on any part of your golf game. Hey Darren - how's it going? I won another comp... Shot 75 on the Wandlebury for 41 points. Best round ever for me.. I was very nervous at the end. Finished bogey bogey... So I was flirting with shooting par until the very end! Hi, good news! I won the Ramsey Cup off the white tees with a score of 68. After 5 holes I was 1 under gross for the course. The lessons have paid off. Richard was second with a 72. I won by 4 shots with a 9 on the 18th. Thank you for the Putting Clinic on Saturday…the best Putting lesson I have had! I will work on the practice routines you suggested and I hope to get a putting mat and alignment mirror over Christmas so I don’t have to wait for the course to thaw! You were very thorough and generous with your time; I should probably practise for a bit and then come back to see you again.